in 129th Core Commander conference that took place Under Army Chief General Ashfaq Pervez Kayani it has been decided that War against Terrorism will be completed by ending terrorists from Pakistan. 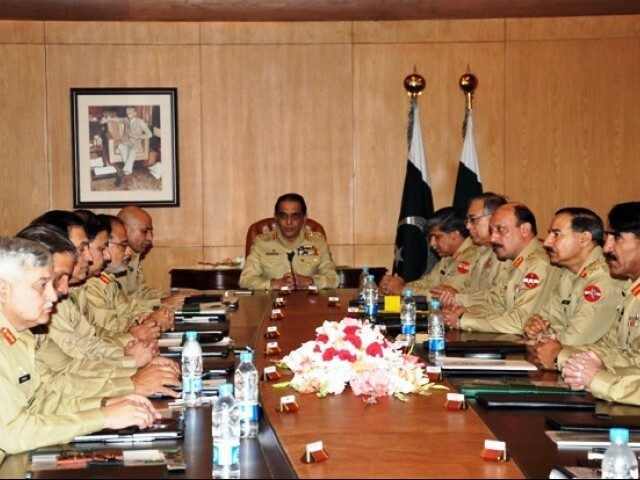 Core Commander conference was held on Thursday in GHQ Rawalpindi which was attended by all Core Commanders. Operation in Fata, Foreign and Internal threats to Pakistan and different issues where discussed in the Conference. General Ashfaq Pervez Kayani said that Pakistan Army is fully ready to face any Internal or External challenge to Pakistan. Later on Western Media reports regarding Pakistan Army operation in Fata where also discussed.